100% natural. 100% effective. 100% of the time. Odour-causing bacteria flourises in an alkaline environment. 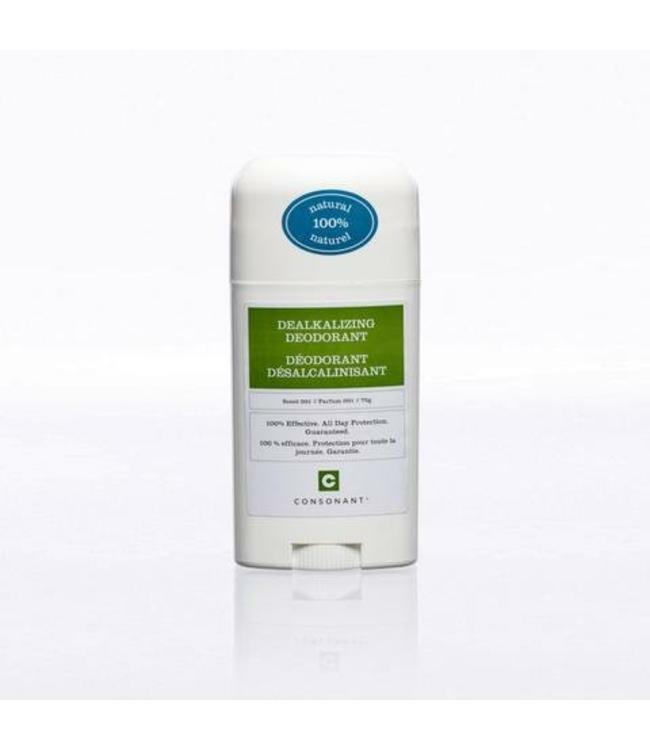 Consonant's Dealkalizing Deodorant is formulated to bring the pH of your skin to 4.5-5 to inhibit body odour for 24 hours. 100% natural. 100% effective. 100% of the time. Odour-causing bacteria flourises in an alkaline environment. 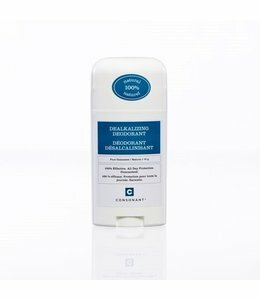 Consonant's Dealkalizing Deodorant is formulated to bring the pH of your skin to 4.5-5 to inhibit body odour for 24 hours. Scent 001: A light, fresh scent. It is a delicate, unique citrus fragrance that blends sweet orange with cinnamon, coriander and cassia middle and bottom notes. You'll also notice a hint of a chocolatey scent from the cacao butter. *Please note: This is a deodorant, not an antiperspirant. It is formulated to inhibit odour (and does it very well!). It does not stop you from sweating.